This passage comes from a section of Isaiah sometimes called “Third Isaiah,” a collection of oracles usually dated to the time of the Restoration of Jerusalem and the Temple after the Exile in Babylon. Many of these oracles are intended to encourage the people in the work of rebuilding, which was often bogged down by palace intrigues or lack of funding, by proclaiming God’s will that the restored civic and religious life will be a beacon of hope and reconciliation for all peoples. That is clearly intended in this oracle with the symbols of light and shadow, that “thick darkness” lies over all the peoples, but for Jerusalem “the Lord will arise upon you, and his glory will appear over you.” Because of this brightness, nations and kings will come to Jerusalem. Perhaps even more importantly, “sons” and “daughters” of Jerusalem will come “from far away,” as exiled and dispersed people of the Covenant are restored to full life in the community of Torah justice and peace. This combination of Jews and Gentiles gathered to the light of God in Jerusalem replaces darkness with “radiance” of restored life, with hearts that “shall thrill and rejoice.” A triumphalist note might enter this theme with the catalogue of gifts and tributes brought by the Gentile kings: “abundance of the sea,” “wealth of the nations,” “multitude of camels,” “gold and frankincense.” If these gifts are taken as signs of Jerusalem’s military or imperial superiority, they could be indicators of a dangerous degree of nationalist pride. If they’re taken, as seems more likely, as offerings to “proclaim the praise of the Lord,” then they also form part of the picture of reconciliation and righteousness. This is of course the function of the “gold and frankincense” as they are picked up and repeated in Matthew’s account of the Magi below. At stake here is the creative transformation of Exile into Restoration, of the destruction of city and Temple into their being rebuilt for larger and more inclusive purposes. In this vision of rebuilding, the city and Temple are now no longer meant for Jews alone, but are a center of justice and peace, right-relationship in shared well-being, for all peoples. How could a present-day congregation re-envision its purpose and place as a center of right-relationships in its neighborhood? The psalm reflects the theme of nations paying tribute to the king in Jerusalem, connecting to both Isaiah and Matthew. Importantly, the king to whom these gifts are given is portrayed not as a conquering emperor, not as the head of a military power, but as one who exemplifies God’s justice and righteousness. This king “shall deliver the poor who cries out in distress, and the oppressed who has no helper.” This king will “redeem lives from oppression and violence,” and will create the conditions under which “the righteous shall flourish.” Under this king’s rule, even the surrounding natural environment will be treated justly and peaceably, so that the harvests of the hills and the pastures of the mountains “may bring prosperity to the people.” The imagery of the king begins to move into messianic territory with the notion that the king will “live as long as the sun and moon endure, from one generation to another,” becoming more of a supernatural figure of fulfillment than the portrait of any actual political leader. This again helps to set the stage for the visit of the Magi to the infant King Jesus. The Epistle reading continues the theme of the inclusion of the Gentiles in the community of the faithful, but makes a significant shift away from the imagery of kings delivering tributes. Instead of the trappings of earthly empire, this passage uses the overarching notion of “the mystery of Christ” to set the stage for Gentiles now having “access to God.” The author asserts that “the plan of the mystery” has been “hidden for ages in God,” baked in, as it were, to the very design of Creation. The Gospel, and particularly the living proclamation of the Gospel in preachers and teachers and servants like Paul (in whose name the author writes), is now making this “plan” known to all “humankind” – and not only to humankind, but to “rulers and authorities in the heavenly places,” those creatures of planes of Creation beyond the earthly that form an important part of the mythological structure of the New Testament. Process and open theists might look at this language of “plan” and hesitate, resisting the traditional ideas of predestination and the notion that time is fixed, that the future is nothing more than a blueprint or a program the universe is following without deviation or creativity. But we can also take this language of “plan” in a less rigid sense, not so much a detailed prewritten script as a general intention or overall purpose. To say that the “plan of the mystery” is part of God’s intention in Creation need not imply that every possible actual occasion has been foreseen and predetermined. It might instead imply that God’s overarching desire for creative transformation, God’s nisus for many becoming one in the intensive harmony of Beauty, is ingredient in every moment of the universe. God’s will for right-relationship and shared well-being is a constitutive factor in every moment of human interaction. If any given group of humans are resistant to that will, if they are too consumed in their own interests to respond to the urge for shared well-being, then that given moment of God’s “plan” for justice and peace might not be fulfilled, and God will move on to the next moment when the “plan” might be better revealed. But the “plan” itself, the continued lure toward creative transformation, is never absent from any human interaction. The “plan” to bring all Creation, material and immaterial, into shared well-being in the pattern of receiving and offering in freedom and gratitude exemplified in Jesus as the Christ has been an aim of God throughout the adventure of this universe; from the Ephesians author’s viewpoint, that “plan” has reached a distinctive milestone with the inclusion of the Gentiles in the “boldness and confidence” of faith in Jesus. How might a contemporary preacher invite her or his hearers to consider their role in God’s “plan,” their opportunities for bringing people together into right-relationships in accordance with the pattern of Jesus? While the appearance of the star might have been the Alexandrian Christians’ reason for first associating this Gospel with a January 6 Feast of the Epiphany, it is the role of Gentiles in first recognizing Jesus as King that is the key theme of this passage. “Wise men,” magoi in Greek, probably stargazers (both modern words astronomer and astrologer could be applied) in a system derived from Persian roots, arrive in Jerusalem, rather unwisely inquiring at the court of Herod about the new king whose birth they say is signaled in the rising of a star. Modern commentators – and some astronomers – have researched conjunctions and comets, and have spilled considerable ink, over what this “star” might have been. Given my own interest in astronomy, I find these speculations fascinating; but what the star “really was” is hardly the point. For Matthew, the deeper point is that people from outside the Covenant, people with no knowledge of the Law or the Prophets, have recognized the importance of Jesus; and they have recognized this importance from a source outside the Law and the Prophets, from the dawning of a light. They are therefore acting in accordance with the prophecy of Isaiah 60, even though they don’t know it; and for Matthew this underlines the validity and the power of the prophecy. They recapitulate also the prophecies of kneeling before the king and presenting gifts of gold and frankincense (Matthew apparently adds the myrrh to complete his own symbolism of Jesus as sacrifice-to-be), further emphasizing that Jesus is the one in whom the promises of light for the inclusion of Gentiles in rebuilding and redemption are fulfilled. It may well be, as some scholars suggest, that Matthew has created this story as a kind of midrash on the Isaiah and Psalm texts; or it may be that Matthew had a tradition of Gentiles visiting the child Jesus that the other evangelists did not have, and made the connections to the earlier texts himself. Whatever its compositional origin, the meaning of the story as it now stands is that the coming of Jesus means more than any of the participants in the story can understand in the moment. The magi act in response to signs and signals they can read; but the real meaning of their visit goes deeper than they can know. Herod and his court dig into their texts and establish that Bethlehem is to be the birthplace of the new king, and they fear for their own political power because of that; but the full meaning of this new kingly presence is more than they can know. Even Mary, who receives the gifts as they are offered, and who may even recognize them from Isaiah and the Psalms, cannot yet know the full extent of her child’s work as king and priest and sacrifice. This of course is the culmination of the theme of the inclusion of the Gentiles that has been building through all these readings. But it is also an invitation to recognize that the working-out of God’s “plan,” as Ephesians calls it, the dawning of God’s light for right-relationship of shared well-being, is bigger than we are, it has depth and nuance and reach beyond the particular details that we can read and interpret and enact. A preacher might invite hearers to consider how they could be like the magi, reading the cues they can read and working the works they can work to share their gifts with others, to build up right-relationships in receiving and offering in freedom and gratitude in whatever opportunities arise – and to do so all the more because they trust that God is working in and through and around them in ways that are bigger than they know, to take up the effects of their actions and make them available as aims to a whole new generation of occasions. The Rev. 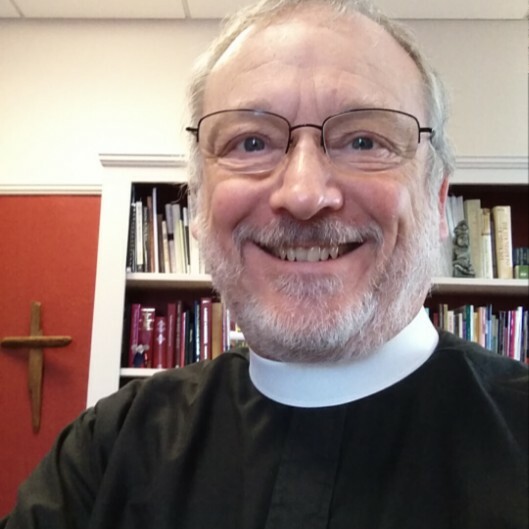 Paul Nancarrow, Ph.D. is rector of Trinity Episcopal Church in Staunton, Virginia. His studies have focused on process-relational interpretations of liturgy, and especially on the co-acting of divine action and human action in sacramental work and worship. He serves as Canon Theologian for the Diocese of Southwestern Virginia, and has taught Theology for deacons’ ordination training in Michigan, Minnesota, and Virginia. He enjoys pondering God in Creation from the saddle of his bicycle on the backroads of the Shenandoah Valley.